Prime Minister Narendra Modi has announced that the country will have a task force in place to chalk out an action plan for the next three Olympic Games to be held in 2020, 2024 and 2028. Several athletes have continued to complain about the coaching facilities and the lack of funds for training for the Olympics as their reason for not being able to win more than the two medals from the Games, and the PM has taken the matter into his own hands. 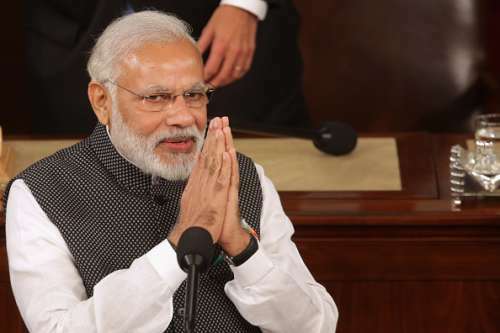 Reports by ANI suggest that the Prime Minister will be setting up a task force to deal with all the matters relating to the country’s athletes and how the nation can improve in the future editions of the mega-event. The task force will be credited with the objective of preparing an overall strategy that will look into the sports facilities throughout the nation as infrastructure has been a major concern. The task force will also deal with the training of the athletes and how the sports stars will be selected for the future Games. PM Modi had high hopes from the country’s delegation of 121 athletes who went to the Games but to the disappointment of a billion people, India could only manage two medals from the Olympics. It was wrestler Sakshi Malik who bagged the first medal for the country when she won the bronze medal in the women’s wrestling event in Rio De Janeiro. Shuttler PV Sindhu also created history as she became the first ever woman to win a silver medal for the nation at the Olympic Games. Owing to the disappointing performances and the failure to win more medals at the Games, the Prime Minister has taken a right step to make sure that the country has enough athletes competing at the grandest event when they participate next at Tokyo 2020. The decision to make a separate task force will only work for the betterment of the nation if it is an independent authority which is not answerable to the Sports Ministry as the latter have been criticised over their handling of the athletes in the recent past.